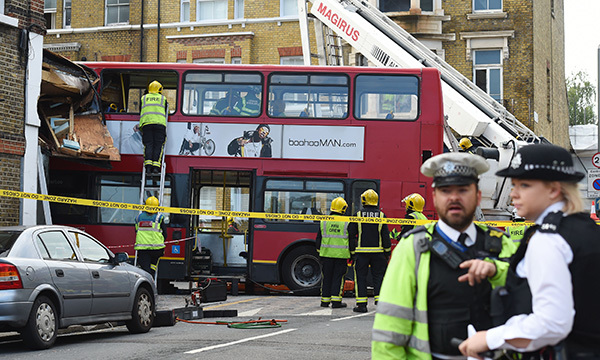 A Pulse agency nurse has described the moment she ran to help fellow passengers on a double-decker bus which crashed through the window of a shop in London. Amy Mullineux was travelling to work on the lower deck of the vehicle in Lavender Hill, Battersea on Thursday morning when it suddenly swerved off the road and into a kitchen design showroom. 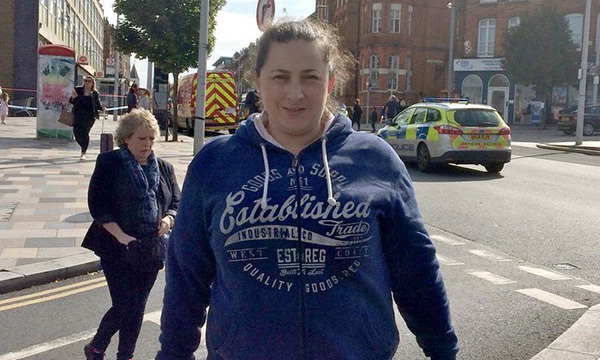 She told the Daily Mirror: ‘I was on my phone, then I looked up and suddenly realised we were crashing. Following the crash, Ms Mullineux’s first thoughts were for the people on the upper deck. When she ran up the stairs, she found a woman injured by the seat in front of her. Someone grabbed her hand and led her back downstairs, where she joined a group of passengers in forcing open the door to reach the driver, who she says was conscious at the time before passing out. The driver was taken to hospital, and nine other passengers were treated for minor injuries at the scene. The Metropoloitan Police said that, in total, three people were taken to hospital, and have all since been discharged. Ms Mullineux was later told the woman she tried to help had been rescued and that her life had probably been saved by ducking under the seat during the impact. She added: ‘I am pretty shaken up. I managed to crack my knee coming off the bus, so I am a bit sore. My blood pressure is through the roof. I am in shock. ‘I was impressed with the ambulance service, with the police.